when will second monsoon spell start in karachi ? ? ? ? Just we need to know that when heavy or good showers are coming again in karachi today tomorrow or later ? worst monsoon :X even worst than 2008. 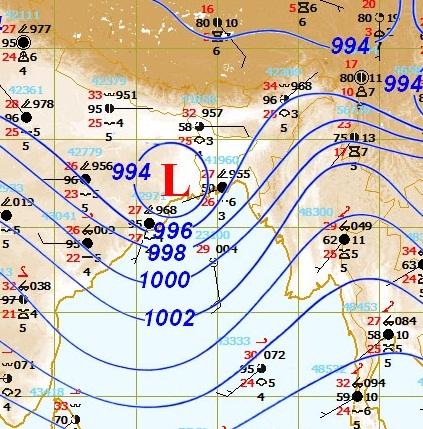 Mass of clouds c0ming t0wards Karachi via ARB. And what about the second spell? guys next spell 1st week of August . Well, there’s gonna be a long dry break bc0z these SW cl0uds have returned. h0w can u say that beeba ? babar bhai sirf aik barish ki wajah sai bach gye warna inki prediction wrong hojati. are there chance of rain today………!!!!!!!!!!!!!! !karachi metro……. When is the 2nd spell g0nna sh0w up ? there are chances of drizzle/light showers in those areas due to the moisture but mostly/partly cloudy…. Hi Karachi Metro, there are so many pinkish, purpuleish paches near Karachi on PMD satellite images. Is there any chance of rainfall in near future? karachi metro…. anything new to tell about weather in khi…….!!!! latest updates……….. what about second spell….!!!! and todays rain!!!! nothing new…second spell not is sight..
w0rst m0nth of JULY since 2005, with 7.2mm precipitation. There was a dr0ught in 2005 but there is no dr0ught this year and that makes this year’s JULY even worse than 2005. Isn’t there any l0w pressure f0rming in the BOB or ARB ? I think 2nd spell might start fr0m 30th or 31st of July. PMD sh0wing mass of clouds over Karachi but all i see in the sky are cirrus cl0uds and SW cl0uds. 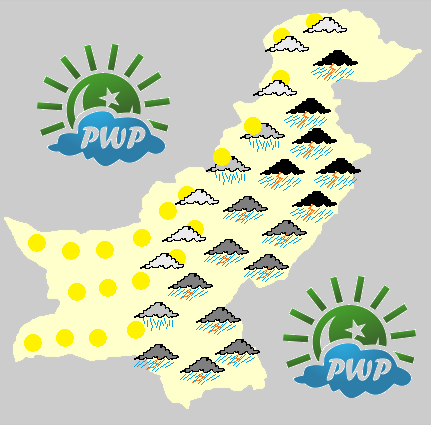 PMD issues advisory for upper Pakistan at about 3 pm while PWP gave a strong thunderstorm formation over upper Pakistan at about 2:40 pm on PWP blog and PWP-FB. 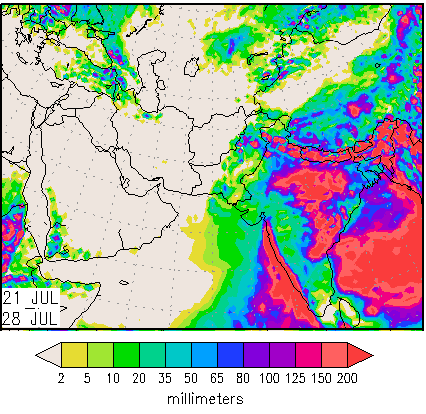 chances of strong thunderstorms over upper parts of Pakistan persists…as of latest forecast the storm might form on July 28 late morning/mid-day (slight variations likely)… it could have the potential to cause isolated very heavy rainfall in Islamabad too with gusty winds… thunderstorm will be due to the interaction between western trough and strong monsoon moisture…PWP will give updates about this situation if new development is seen..
KM plz batien k Mirpurkhas city m MoonSoon ki 2nd rain kb hogi our heavy hogi ya abhi ki trha halki??? When r u g0ing to post ur new article ? i think also in last year July got rains in the last week and then whole august and first week of September got heavy rains.we hope that this happen again in 2011 inshallah. Last year was one of the wettest years f0r Karachi, don’t c0mpare 2010 with 2011. There was a lot of pre-monsoon activity in June and July was very wet for Karachi and m0nsoon hit Karachi on 5th of July 2010.
pre monsoon rains were due the cyclone phet and proper rains were started from 23 july and in last year august got more rains then july even june got more than july. 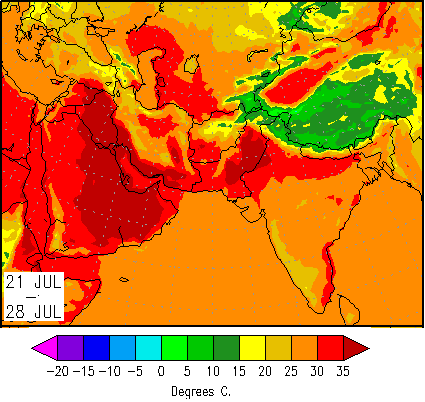 New article published https://karachimetrological.wordpress.com/2011/07/28/pakistan-weather-update-monsoon-alert-july-28-august-5/ nothing for Karachi though..
h0w much rainfall occured in 2010 and when did monsoon started in 2010 do u kn0w ?